For those of you who would like to study the medical value of essential oils, here are some links. Also, here is a special offer you might want to look at. 3). 3 bottles of oil from my private stash! 1). First, you must be a Young Living member. To do this, sign up with any Premium Starter Kit by midnight on January 31st, by going here and following the directions. Keep in mind, as a member, you automatically enjoy a 24% wholesale discount. If you’re already a member on my team, help a friend become a member with a Premium Starter Kit. This way, you’d both qualify for the giveaway. The more people you help, the more chances you’ll have to win, plus you can earn some extra cash by our generous compensation plan. 2). Use your Premium Starter Kit purchase as your first Essential Rewards order. If you’ve already become a member of our team and aren’t enjoying the benefits of Essential Rewards, sign up this month to qualify for the giveaway. If you’re already enjoying Essential Rewards, you must place a minimum 300PV order (or Quick Order) from today’s date through January 31st. Combined orders will not qualify. 3). Schedule and host either an in-person class (locally) or an online class with me within the month of January. Dates are limited. First come, first serve. Restrictions: Each qualifying action *must be* reported to Tanya Leontiev Duarte via email directly from the qualifying person. That person’s name will then be placed into a drawing. There will only be three winners. Drawing will take place February 2nd & winners announced that morning. Migraine is a chronic recurring headache for which no complete treatment has been found yet. Therefore, finding new treatment approaches and medicines is important. In this review, we consider the probable mechanism of action of a traditional and ethnic formulary of chamomile extract in sesame oil as a new topical medication for migraine pain relief. Lemongrass oil proved to be particularly active against gram-positive bacteria, while Tea Tree oil showed superior inhibition of gram-negative microorganisms. As proven in vitro, plant-derived antiseptic oils may represent a promising and affordable topical agent to support surgical treatment against multi-resistant and hospital-acquired infections. The aim of the study was to test the effectiveness of enteric-coated peppermint oil in patients with irritable bowel syndrome in whom small intestinal bacterial overgrowth, lactose intolerance and celiac disease were excluded. Cinnamon oil showed highest activity against Streptococcus mutans followed by lemongrass oil and cedarwood oil. Wintergreen oil, lime oil, peppermint oil and spearmint oil showed no antibacterial activity. It can be concluded that the essential oil of Myrtus communis reduces leukocyte migration to the damaged tissue and exhibits antiinflammatory activity. M. communis essential oil with the minimum inhibitory concentration in the range of 0.032-32 μg/mL was an effective antimicrobial agent against persistent endodontic microorganisms. The results suggest that neroli possesses biologically active constituent(s) that have significant activity against acute and especially chronic inflammation, and have central and peripheral antinociceptive effects which support the ethnomedicinal claims of the use of the plant in the management of pain and inflammation. The aim of this study was to assess the anti-inflammatory efficacy of Boswellia frereana extracts in an in vitro model of cartilage degeneration and determine its potential as a therapy for treating osteoarthritis. Lavender is an herb that has been used in many treatment applications. Lavender is distilled into an oil which can then be used topically, orally, or by inhalation. This paper extends upon the use of lavender in various health issues. 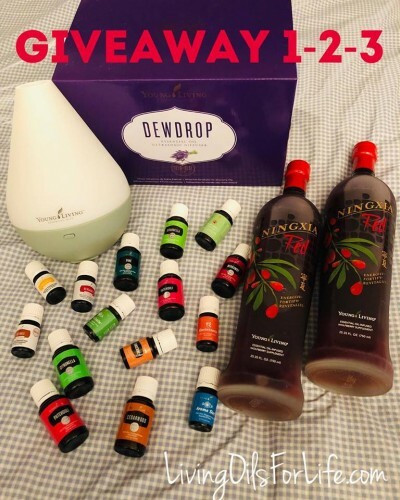 This entry was posted on Tuesday, January 15th, 2019 at 2:09 pm	and is filed under Essential Oils. You can follow any responses to this entry through the RSS 2.0 feed. Both comments and pings are currently closed.